As Bitcoin breaks new records in terms of trading volume in Venezuela, the government has issued new fees as part of its efforts to regulate cryptocurrency remittances. 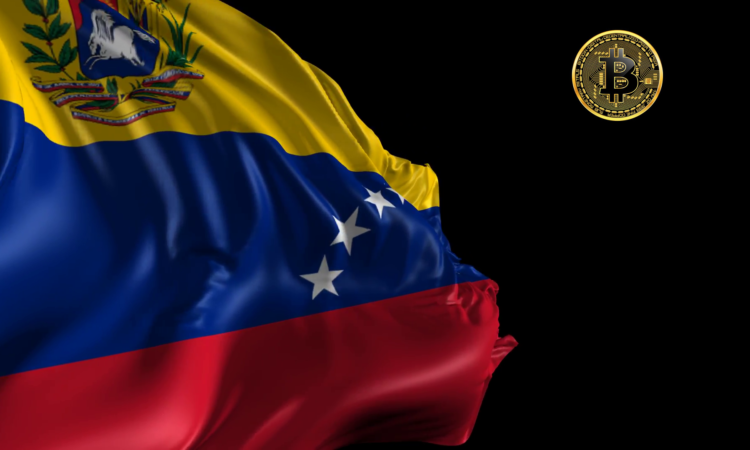 The National Superintendency of Crypto Assets and Related Activities (SUNACRIP) is now the regulator for cryptocurrencies in Venezuela. As part of that new mandate, it has established a monthly transaction limit for remittances whilst collecting taxes of up to 15% of the transaction amount. The new regulation sets out in general terms, what is required in terms of procedures and payments, together with the responsibilities of those sending or receiving cryptocurrency funds. Charges on cryptocurrency remittances will range from between €0.25 ($0.28) to a maximum of 15%, according to Cripto Noticias. SUNACRIP has been mandated to establish limits on the amounts to be sent and it’s understood this will be 10 Petros – the Venezuelan state cryptocurrency established by the crisis-hit South American nation last year. This threshold corresponds with a U.S. dollar equivalent value of $600 per month. The amount can be exceeded but only with the permission of the regulator. Up to 50 Petro’s ($3,000) may be authorized once authorization has been obtained. Otherwise, the newly empowered regulator is required to establish the exchange rate of various cryptocurrencies with the Sovereign Bolivar, Venezuela’s national FIAT currency. It will use the official exchange rates set by the Central Bank of Venezuela (BCV) to achieve this. The agency has the power to request data from both the senders and receivers of digital currency. At the end of last month, the National Constituent Assembly (ANC) of Venezuela issued an edict which established a legal framework for the cryptocurrency industry in the sanctions-hit country. The decree provides for a set of rules for cryptocurrency miners, traders and those otherwise involved in the industry. The document, titled “Constituent Decree on the Integral System of Crypto Assets” sets out legal definitions for a range of cryptocurrency related terms. Additionally, it establishes compulsory licensing for miners and exchanges – with a fine structure in place for those deemed to be carrying out unlicensed activity. In the event that any entity contravenes licensing rules, company owners could be exposed to fines of up to $6,000 and one to three years in prison, according to Cripto Noticias. The rules also empower SUNACRIP with the ability to inspect mining companies and confiscate hardware if that company is found to be in breach of the new laws. The imposition of regulations occurs as Venezuela achieves a new all time high in terms of Bitcoin trading volume. Data related to trading activity on peer to peer trading platform, Local Bitcoins demonstrates that Venezuelans traded 2,485 Bitcoin for the week ending February 9, 2019. This compares with a volume of 318 Bitcoin a year earlier. However, the vast bulk of that growth in volume has come about over the course of the last 3 months. It would appear that the Venezuelan state is attempting to control the flow of capital via cryptocurrency. The fees imposed through the new regulations are excessive. World Bank statistics point to average remittance fees worldwide ranging from 5.2% to 9.4%. These fees are already high but for Venezuela to impose fees of up to 15% makes the use of cryptocurrency prohibitively expensive. A prolonged financial crisis in Venezuela, brought about through a combination of financial mismanagement and economic sanctions imposed by the United States, has seen the destruction of personal wealth due to the hyper inflation that has followed. The crisis has led to the largest mass migration in the recent history of South America. Cryptocurrencies such as Bitcoin are set to disrupt the remittance sector. The World Bank estimates remittance flows worldwide for 2019 at $715 billion.